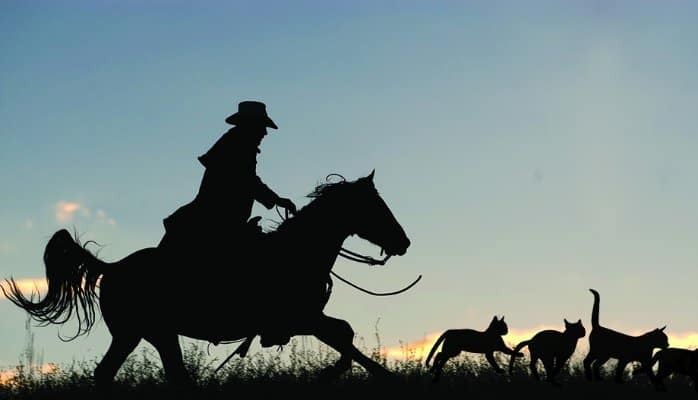 Agile coaches and leaders in agile organisations sometimes refer to parts of their job as herding cats. While said with a smile it has a negative connotation. Talking about cat herding hides the real problems at hand. What exactly is the team doing that makes them appear as cats? And what should the team improve in order to not be a bunch of cats? It’s disrespectful and as a coach or leader you are likely loose influence. Sure, cats are smart, independant, and resourceful, but what coaches/leaders are refer to is more often peoples unwillingness to compromise and to collaborate. We see what we look for. If we joke about it long enough we’ll eventually start making observations that reaffirms our belief. This is called selective perception. We loose track of what’s really important and miss other important observations such as tracking value, the flow of information, how the team tackles problems etc. The people we coach or lead might start believing it’s true and start enacting it which leads to less even collaboration than there was initially. Would you like to be coached or lead by someone who perceived you and your team as a bunch of stray cats? Offer feedback to people and teams about what makes you feel this way, and perceive them this way – give them a chance to improve and be to the point. Call people out if you hear them talking about people or teams this way – offer them feedback about the negative impact it can have.